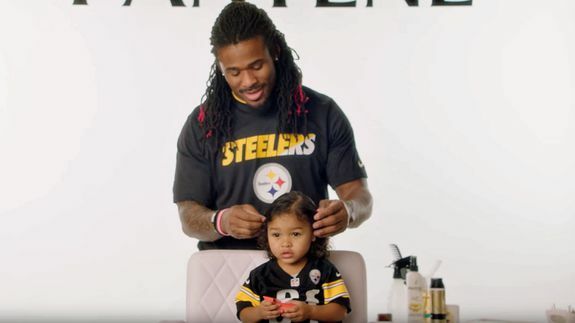 NFL players doing their daughters' hair is today's dose of adorable - trendistic.com: ever tried. ever failed. no matter. try again. fail again. fail better. All are all-stars on running the field, and formidable when it comes to detangling.